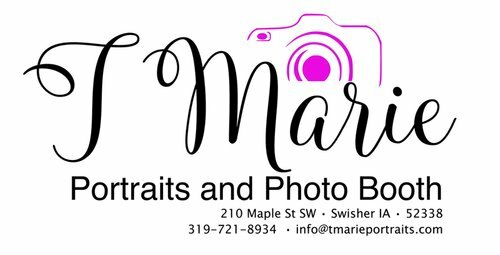 T Marie Photo Booth is your ULTIMATE Photo Booth rental in the Cedar Rapids / Iowa City Corridor area, Cedar Falls, Waterloo, Dubuque, Quad Cities and many surrounding areas. We can turn your average event into the silly, spontaneous, memorable event you are looking for. These classic photo strips always print in pairs of two (however, we can set the photo booth to print more or less if like. There is an additional charge for printing more than 2 at a time). 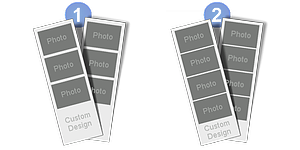 The photo strips in layouts 1 and 2 are 2 inches by 6 inches. Layout 1 leaves more room at the bottom of the print for your event name, message, and/or a company logo.